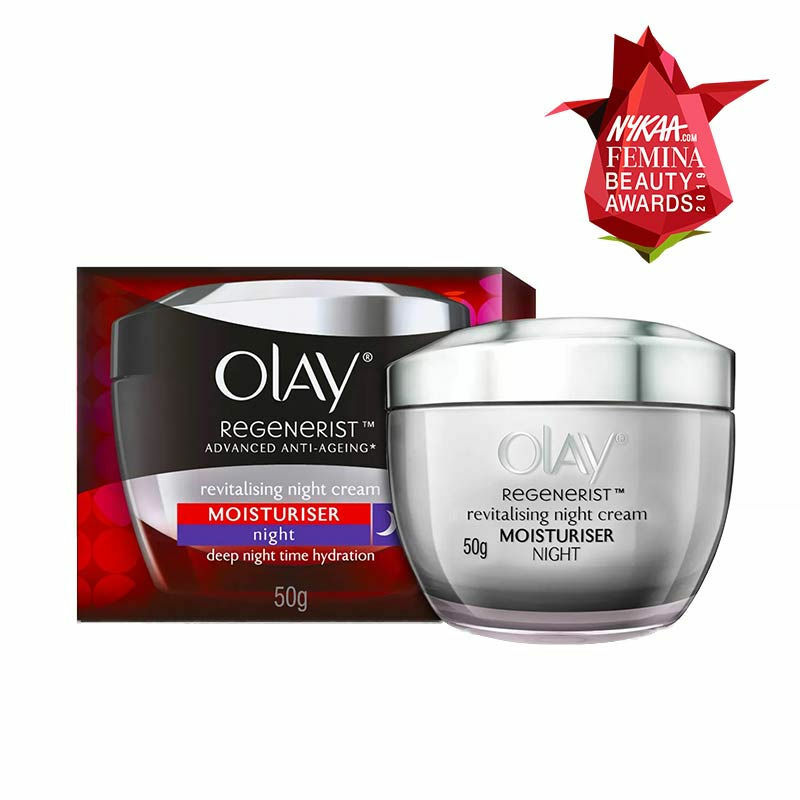 Olay Regenerist Revitalising Night Cream provides deep night time hydration to renew the skin's surface layers and reduce fine lines and wrinkles so that you wake up to a younger looking skin in the morning. Olay Regenerist offers advanced appearance correcting anti-ageing skin care products that help regenerate skin's appearance without drastic measures. Formulated with an exclusive Olay amino-peptide + B3 complex, Regenerist incorporates other proven anti-ageing ingredients such as vitamin E, pro-vitamin B5, green tea extract, allantoin and glycerin. Regenerist renews skin's outer layer one cell at a time, helps regenerate its appearance quickly and strengthens its moisture barrier. Explore the entire range of Night Cream available on Nykaa. Shop more Olay products here.You can browse through the complete world of Olay Night Cream .